This WP will produce and exploit models for the analysis of the Return on Investment (ROI) of policies aimed at reducing the exposure to SHS in a selection of EU countries. We will depart from existing ROI models for smoking cessation interventions currently being developed by an EU FP7 project (EQUIPT) While these models consider the effects of passive smoking by assuming that each quit contributes with a fractional reduction in the disease burden associated to SHS, they do not include policies specifically aimed at reducing SHS other than curbing smoking prevalence. The evidence on exposure to SHS in European countries obtained in WP3 and the epidemiological evidence on SHS attributable morbidity and mortality obtained in WP9 will be combined with evidence on the cost consequences of disease to obtain country specific versions of the ROI models. We will first produce models for Germany, Bulgaria, Spain and the UK, since these are covered by the survey proposed in WP3 and there exist good quality data on the cost consequences of smoking related diseases. Subsequently we will produce models for a selection of the 8 remaining countries covered in WP3 (depending on the quality of the available data. The models will take due consideration of the lag between exposure and effect and therefore will use appropriate short and medium run horizons (2,5,10 years) and long run horizons (20 years and life time). The first use to which these models will be put is the estimation of the economic burden caused by exposure to SHS. Secondly, the models will be used to estimate the return on investment of potential interventions. These will be identified by a revision of the literature, along with the work carried out in WP2 and WP4 and will use existing regulations/standard practice as the comparator. Different perspectives (health system, overall public sector and wider society) will be adopted. The outcomes of the model will comprise not only standard cost-effectiveness and cost-utility ratios but also a fully disaggregated list of health outcomes and resource use consequences so that the budgetary impact of implementation at local, regional or national scale might be appraised. Such disaggregated lists of return on investment metrics have been shown to provide a crucial complement to the information needs of policy makers and stakeholders in the area of public health. Technical reports containing model structure and parameters and results from policy simulations will be prepared. At least two scientific papers (one focusing on the technical issues and one focusing on the policy recommendations) will be submitted to peer reviewed leading journals. 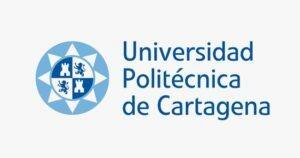 WP10 is managed by Universidad Politécnica de Cartagena.